One of the most sought after destinations for visitors to Santa Catarina, Blumenau is a typically German city. Its German culture heritage is present in every aspect of the beautiful city, from the architecture and regional cuisine to the traditional celebrations. The city is known as the Brazilian Beer Capital. 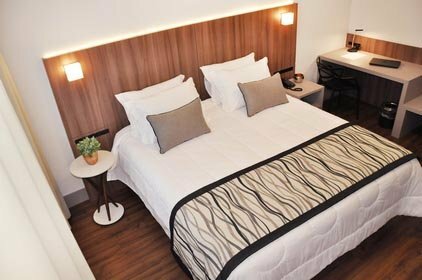 And best of all, Slaviero Hotéis has na excellent hotel option in Blumenau for you and all your family. The small city offers quick tour options, such as visits to the traditional draught beer and artisanal beer breweries, restaurants, bars offering the typical cuisine and festivals like the Oktoberfest, the main festivity of the city.